The Vatican is in the process of digitizing over 80,000 works and their recent offering is from the famed poet Virgil. He wrote his classic poem, “The Aeneid,” more than 2,000 years ago and the Vatican has just digitized it and made it available for free. 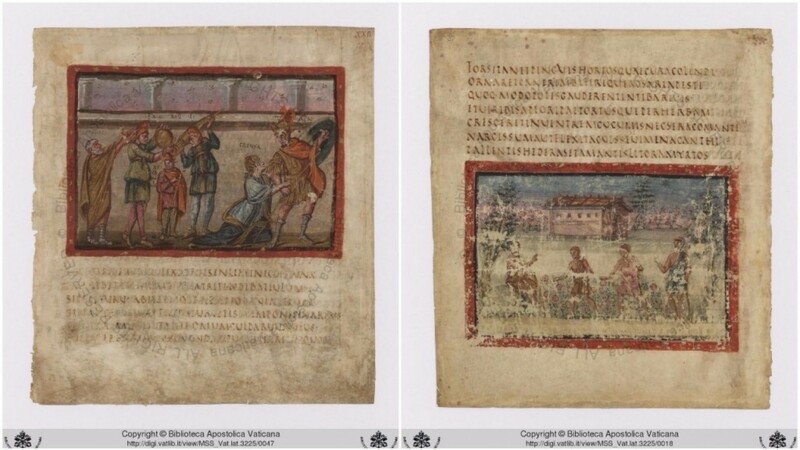 The 1,600 year-old manuscript only contains fragments of the epic, which tells the tale of the ancient hero Aeneas as he ventures from Troy to Italy and consists of 76 surviving pages, and 50 illustrations. The manuscript also includes portions of Virgil’s second major poem, Georgics, which is about agriculture and mankind’s struggle with nature. Raising the necessary funds to digitize so many old materials is expensive. This has prompted Digita Vaticana to solicit the public for the €50m and as an added incentive they are giving the first 200 people who donate €500 or more a limited edition reproduction of a page from the Vatican Virgil, depicting Creusa trying to keep her husband Aeneas from battle.